Your cruise ship is already a hundred feet away from the port on an Australian cruise and continues to fade away in the horizon. Despite efforts of calling the passengers’ attention to stop and wait for you to board, the ship is too far to turn back. You pace back and forth with a puzzled look. You have just been left behind. Now what? Although this scenario may be over-hyped on our television sets or in movies, these instances do happen, whether by accident, by a schedule misunderstanding, or by simply forgetting the call time. Now you have to find a way to get to the next port. Alternately, you can turn this misfortune into an opportunity to stay and tour more of Australia and even the rest of the world. So, whether you fancy a quick travel to Australia by air via Dial a Flight or you prefer to try and book a last minute cruise on another cruise ship and experience more of the country’s beaches, then there’s plenty of choices set out for you. Here are some cruises to try while you’re stranded in the country’s rich seascape. Getting left behind by your ship is no laughing matter but if you’d like to cheer up from being left behind, then the Comedy Cruise on Sydney Harbour may be the perfect place for you. 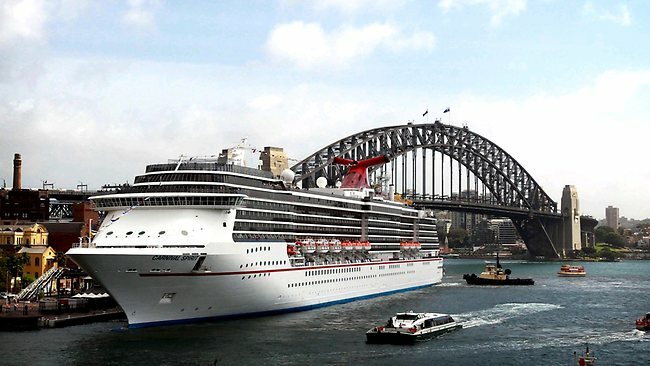 With picturesque views of Sydney Harbour, you may even wish you had scheduled a cruise here in the first place. With some of Australia’s finest comedians and spectacular magicians and illusionists, this alternative cruise home can be a delightful experience not only for you but also for your family. From dancing to Caribbean music, this cruise has it all. If you are only a few port stops away from home, then you’re quite in luck since the Carnival Cruise may just be around the corner. The ship offers short cruises so if you want a quick trip, make sure you check out their schedules. 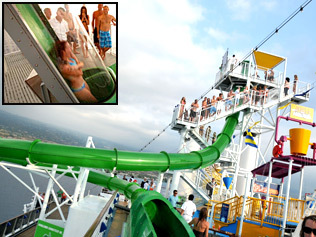 This is also a perfect cruise for those traveling with children who love to play in onboard water parks. You can’t just get on any ship you see at the dock though. Cruises are booked in advance and don’t board new passengers in all ports so check online for available bookings. Of course your luggage has already sailed away with your ship so making arrangements to catch up to it is a better – and expensive though it may be cheaper – idea than looking for a new cruise. Catching up could also prove to be an adventure in itself, and a chance to see things you otherwise would not have. If you fancy a little peace and quiet after stressing over the fact that you got left behind, then Cunard Cruise Line is your best bet. With plenty port of calls around Australia and almost 80 available cruises in the Australasia and Pacific Islands, finding a worthwhile vacation is quick and easy. 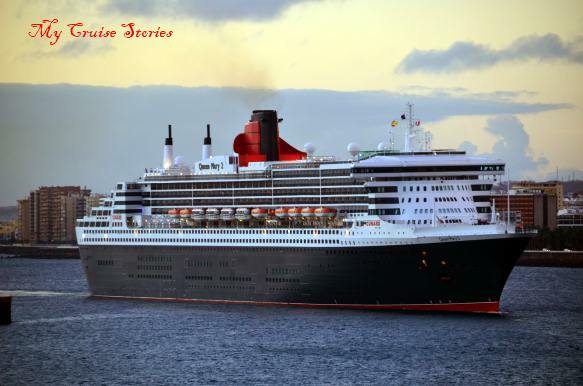 Sometimes ships do have last minute bookings available close to their sail date – but again your luggage is still on the other ship so you would need to make arrangements get that back if for some reason you were unable to meet the ship at the next port. If you can’t or don’t want to catch up to your ship after getting left behind in port, these ideas for branching out on your own from Marsha, an experienced Australian traveler, certainly sound a lot more fun than moping about or going into panic mode, although of course you would need to make some sort of arrangements for your luggage. Marsha says alternative options are always a good idea because sometimes things don’t go as planned. However you can’t just jump on any ship in port as only booked passengers are allowed to board and some ports are just stops along the way rather than embarkation ports. Getting left behind on a cruise happens more often than most people think. 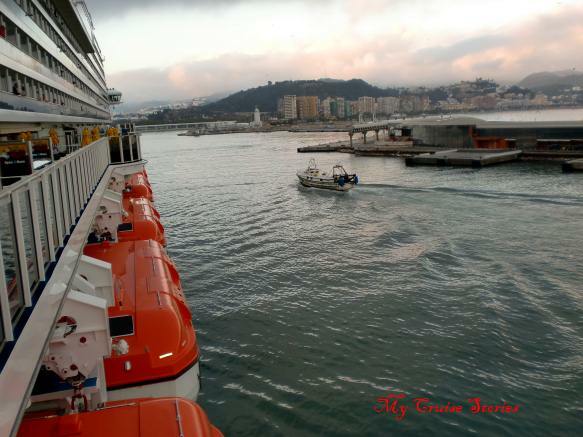 On some itineraries it happens to someone nearly every cruise. Ships normally sail at their scheduled time and anyone who is not on board before the ship leaves the dock is on their own…..or are they? Some cruise lines have a representative meet left-behind guests on the dock. If you have left your passport where they can find it (like in the stateroom safe) they will have it in hand, often a necessity for flying to the next port. This, and the possibility of medical evacuation make traveling with your passport important even if you are just visiting places where a passport card or enhanced ID would get you onboard. The cruiseline representative can also help with things like arranging a hotel for the night, but paying for it all is the passenger’s responsibility. You can take your passport with you in any port. If the ship has announced that you should do so it probably means they do not have a representative there and have no way of getting it to you should you be left behind. Not all cruiselines have their own representatives in all ports – but most of them do have daily newsletters delivered to each cabin. On port days that newsletter will normally contain an emergency phone number for passengers to call if they meet dire circumstances in port – like getting left behind. So it is always a good idea to either bring the newsletter with you, or at least bring the phone number listed when you get off the ship. One easy way is to take a photo of the phone number and that way you will at least have the information in your camera in the unfortunate event that you need it. It’s always a good idea to take a credit card with you in port too in case of emergencies or just to buy stuff. Just be sure to keep the card where it can’t get lost or stolen. If you miss the ship, the adventure of catching up to it at the next port would make quite a tale to tell, but it won’t likely come cheap. Only once have I ever seen a ship return to the dock after it started to pull away. That passenger got quite lucky to have a sympathetic captain see him running down the dock at the last port before a transatlantic crossing. If you want to insure that you never miss the ship you can book all your excursions through the ship as they will wait if their own excursion is late. Otherwise make sure you are aware of whether or not ship time is the same as shore time. If it is not make sure you are on board before the scheduled all-aboard time according to ship time. If you plan to be back at least an hour before the all-aboard time it gives you a little leeway for anything unexpected that might cause a delay on your return. 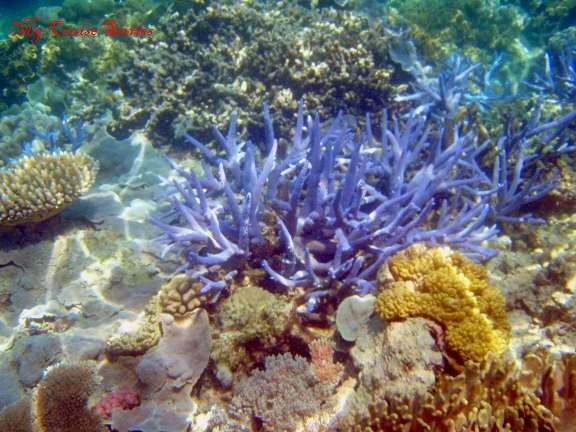 This entry was posted in Guest Blogs and tagged Australia, cruise Australia, fun, left behind on a cruise, photos, travel, vacation. Bookmark the permalink. Good golly, I’m just thinking what would have happened when we docked in Mauritius for the day. If I hadn’t been back at the ship in time, all my luggage would have returned to South Africa without me and with their limited flight schedules, I could have been stuck there for a full week before being able to fly home. Sounds like it would have been the perfect opportunity to see more of Mauritus! You probably would have needed to call the cruise line and make sure all your things got gathered up and sent to your home, at your expense I’m sure. Not to mention buying a few essentials to get by with since you would have no luggage. Costly, but what an adventure and a fantastic tale to tell that would be. Aaron and I went on a comedy cruise in Sydney, it was awesome! I was 37 weeks pregnant though, so I was kind of afraid of going into labour from way too much laughing. Probably wouldn’t have been funny at the time it you’d gone in labor there, but what a blog it would have made for you. I have a friend who hasn’t been on a cruise yet but goes to Cozumel every year. He said once the cruise ship people leave for the day everything is no longer crowded and it seems like everyone just relaxes. I would guess that anywhere that sees lots of cruise ship activity would have a different atmosphere after the ships leave that cruise ship passengers won’t ever see unless they are left behind. I knew someone who had a timeshare on St. Maarten and they said the same thing about when the “boat people” left. Nice pictures. Good suggestions. I’ll be sure to bring my credit card on shore and leave my passport in the safe if I ever get to go on a cruise! You have some good ideas that make it almost seem a good experience to be left behind. It’s a guest blog so the adventures are not actually my ideas. I’d imagine getting left behind would get quite expensive whether one was able to catch up to their ship or not. It could turn into quite an adventure though. I would love to have the story from someone who actually got left behind for a blog.